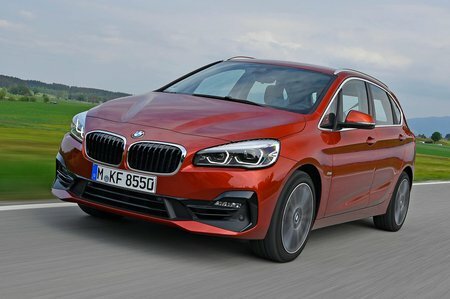 BMW 2 Series Active Tourer Boot Space, Size, Seats | What Car? There’s masses of room up front, so even very tall drivers will be well accommodated in the wide, high-roofed interior, although a Volkswagen Golf SV still offers a fraction more head and leg room. You’d get an ice scraper and the handbook in the glovebox with no problem and there’s a hidden cubby that’s good for keeping car park change next to the driver’s right knee. Your phone sits neatly in a recessed area in the upright dash and there’s a big storage area beneath the central armrest, which can accommodate a 500ml bottle. The door pockets are a fair size but a bit narrow, so a 1.0-litre bottle won’t fit. 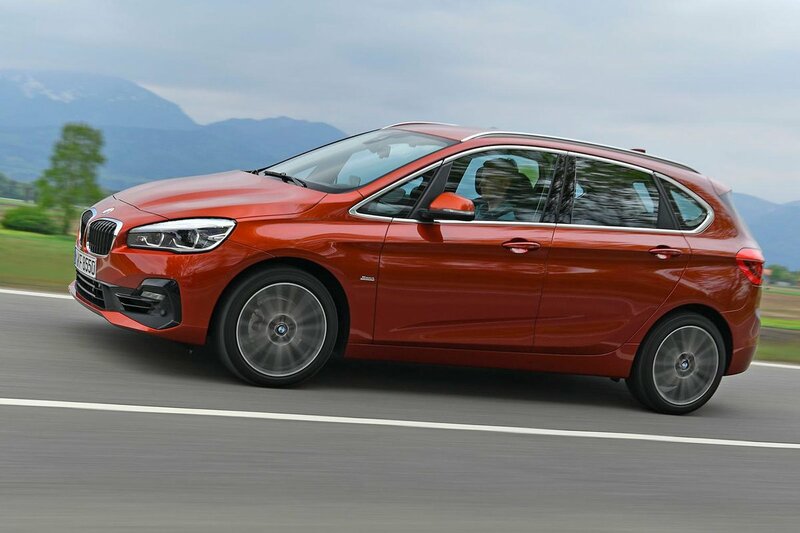 Thanks to broad door apertures, a high roof and slightly higher-set seats than in a conventional hatchback, access to the 2 Series Active Tourer is excellent. 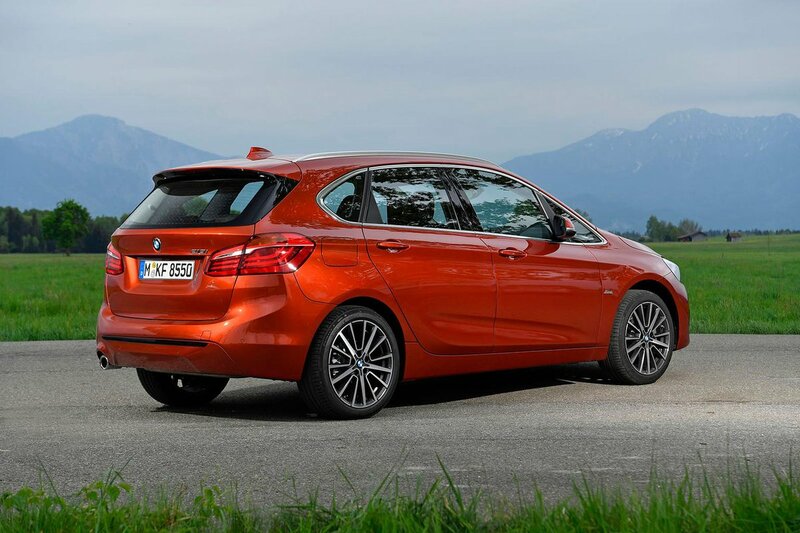 Two six-footers, or three children, will be fine in the rear of the 2 Series Active Tourer. With the sliding seats – split 60/40 – slid back, there’s generous leg room and loads of head and shoulder room. However, there’s a central tunnel in the floor, plus firm, raised central cushion that will make a middle passenger feel uncomfortable over longer trips. There is a touch more leg and head room in the Golf SV. A standard centre rear armrest contains a couple of cupholders and a shallow, lidded storage area. The door pockets are moulded to offer further convenient bottle storage and you get map pockets on the back of the front seats as standard across the range. Access is very good, with the high roofline making it easy to duck in for access to child seats. But bear in mind that the 225xe’s battery back raises the height of the rear bench slightly, reducing head room. The 2 Series Active Tourer may be a little behind the Golf SV on outright passenger space, but it’s better for flexibility. In all variants except SE trim (where they’re a reasonably priced option) and the 225xe (where they’re not available at all), the rear seats slide easily in a 60/40 split, allowing you to increase luggage space or rear leg room, depending on your needs. Not only that, but the seatback is also split 40/20/40 to leave a smooth, virtually flat load bay. On Luxury and Sport models, rear-seat folding can be done electrically from the boot. As long as you haven’t specified electric seat adjustment, you have the option to fold the front passenger flat, so you can carry items that are near three metres long. This is available on SE or Luxury trims only. As with the driver’s seat, the front passenger seat has a broad range of movement as standard, albeit with an awkward height adjustment. Adding sports seats brings electric adjustment, more side support and extendable thigh support, but adjustable lumbar is an additional extra. The 2 Series Active Tourer’s boot is one of the best in this class. It’s only a fraction off being the biggest and has a powered tailgate as standard, a low load lip and broad aperture. All of this makes it better than most for fitting in pushchairs and other bulky items. Its convenience is further enhanced with a couple of sectioned-off cubbies behind the wheel arches, a 12V charger and two bag hooks. Those electrically folding 40/20/40-split rear seatbacks fold virtually flat, leaving a smooth, lengthy load bay for when you need maximum carrying capacity.